Various medical and complementary health fields address the body’s internal systems, but taking care of what’s on the outside is another important part of personal care. Cosmetologists are professionals responsible for health and beauty concerns such as hair, makeup, nails, and skin care. Qualified cosmetology specialists are also experts on the subject of products used in personal health and hygiene. Healthy living stretches to every aspect of physical and emotional well-being, which is closely tied to self-image. Beauty and cosmetology practices not only keep hair, nails and skin looking good, but the benefits also carry-over in the form of mental and emotional gains. Maintaining a vital, healthy appearance, for example, instills confidence and personal self-assuredness. And paying proper attention to health and beauty concerns reinforces a youthful look (and mindset). 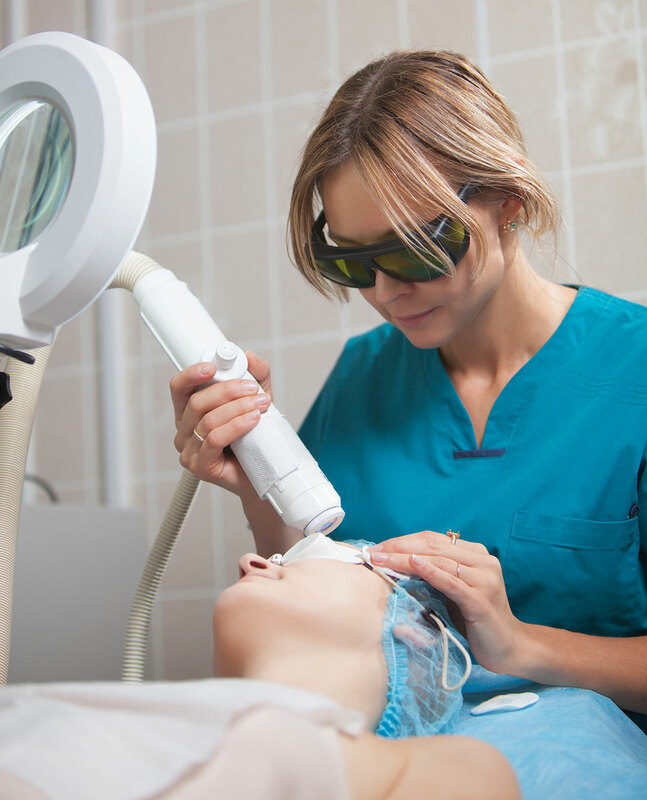 Licensed cosmetologists have more tools at their disposal than even before, using new products and procedures to transform image and appearance. If you are considering this rewarding career path, answering a few questions up-front can help guide your training and put you to work as a professional cosmetologist. Is your primary interest cutting hair? Or are you focused on a high-profile career as a makeup artist? Does modern skin care technology interest you? Or is opening your own nail salon a closely-held goal? With these and other related concerns in mind, a first-rate education and hands-on experience are all you need to get started down the path to practice. Completing a recognized course of study in cosmetology is a crucial step toward certification and career success. Cosmetology is not a one-track field. On the contrary, trained professionals provide services in several important areas. As part of their comprehensive training, most qualified cosmetologists gain knowledge and experience in multiple disciplines. But it is common for beauty school graduates to specialize in one or two aspects of the profession. Widespread opportunities for career exploration and employment are two key advantages drawing would-be cosmetologists to the field. Commonly associated with services performed for male clients, barbers primarily wash, cut, and style hair. Depending upon its location and staff specialties, a barber shop may also furnish additional services, such as shaves and facial treatments. Hair-straightening and administering hair color may also be offered, under the guidance of state licensed professionals. Practicing as a hair stylist, or beautician, requires expertise, training, and licensure. Like barbers, trained professional hair stylists cut and style hair, but they also offer a number of complimentary services. Stylists bleach and color hair, as well as straightening and curling it. And they are trained to advise clients and offer suggestions for the best cuts, styles, and hair colors. Depending upon his or her work environment, a hair stylist may also be responsible for selling hair care products and equipment, such as shears, hairdryers and clippers. Although they are not medical doctors, estheticians are trained to recognize skin problems that may call for further medical consultation. Earning credentials to work as an esthetician commonly requires candidates to complete 650 hours of training, before licensure. Becoming a nail specialist prepares a cosmetology school graduate to perform pedicures and manicures. Like other cosmetology professions, practicing as a nail technician calls for specialized instruction. The trade is also regulated by most states, so aspiring manicurists are advised to consult with agencies in the area they plan to practice. Manicurists cut, shape, file, and apply polish to nails, offering services for both men and women. The industry’s artistic technology also makes it possible to add jewels and other features to nails and airbrush custom paint jobs. Applying cosmetics and making aesthetic recommendations are two key roles played by makeup artists, who often work in theater and video production. When only the best look will do, trained makeup artists step-in to transform the appearance of stage actors, TV stars, and Hollywood performers. The high-profile employment can lead to higher than average cosmetology wages for successful, in-demand professionals. As an independent contractor, a makeup artist may also find work through salons, preparing brides and others for weddings and special occasions. Launching a successful cosmetology career starts with thorough training. Maintaining good grades in high school and obtaining a diploma opens the door to various study opportunities, which furnish the specialized knowledge and skills you’ll need to thrive as a cosmetologist. Not all schools are the same, however, so it pays to plot your course, before making educational commitments. Are you interested in becoming a barber? If so, your fast-track to employment might pass through a stand-alone barber school. Do you plan to open your own full-service salon? As an entrepreneur, broad exposure to all cosmetology disciplines will serve you best, calling-for advanced studies, complete with business training. The Niles School of Cosmetology has been active in the Chicago area since 1975. One of the region’s top cosmetology schools, Niles maintains several affordable study tracks for cosmetology hopefuls. Taught by licensed instructors, the curriculum prepares graduates to sit for the Illinois State cosmetology licensing examination. Career placement and financial aid resources add to the benefits of partnering with Niles for a cosmetology education. The Niles School is accredited by NACCAS, ensuring high standards and consistency in education. Two hands-on programs are available for cosmetology students. The Niles Cosmetology Course combines intensive hair training with general cosmetology education, preparing graduates to pass the licensing exam. In all, it represents more than 1500 hours of instruction and practical training. A second study track, Cosmetology Teacher Course, adds 1000 hours of material, preparing candidates for the Illinois State Registered Cosmetology Teacher Exam. The Aveda Institute – Minneapolis is one of many standout beauty schools operated by this well-known educator and product manufacturer. Founded in 1982, the Minneapolis campus offers educational opportunities for aspiring massage therapists, estheticians, and cosmetologists. The cosmetology program prepares graduates to serve as stylists, colorists, and independent beauty artists. The Aveda curriculum logs more than 1550 hours training in skin, hair, and nail care, as well as makeup application. Flexible Minneapolis scheduling options facilitate full-time day students and working professionals attending night school. Bellus Academy hosts a suite of beauty school programs at three California locations, as well as one facility in Kansas. Each location maintains its own course schedules and availability, with the Poway, CA campus offering the most extensive variety of professional cosmetology courses. The school’s cosmetology program is comprised of more than 1600 hours of comprehensive training, covering multiple specialties. Completing the program not only instills the practical knowledge needed to work in the field, but coursework is also preparatory for passing state board exams. Beyond cosmetology training, Bellus programs incorporate business learning, including principles of sales and budgeting. The school’s commitment to technology is evident in its iPad-based learning approach. And no shortcuts are taken on the salon floor, were students are put through the paces in a realistic work environment. 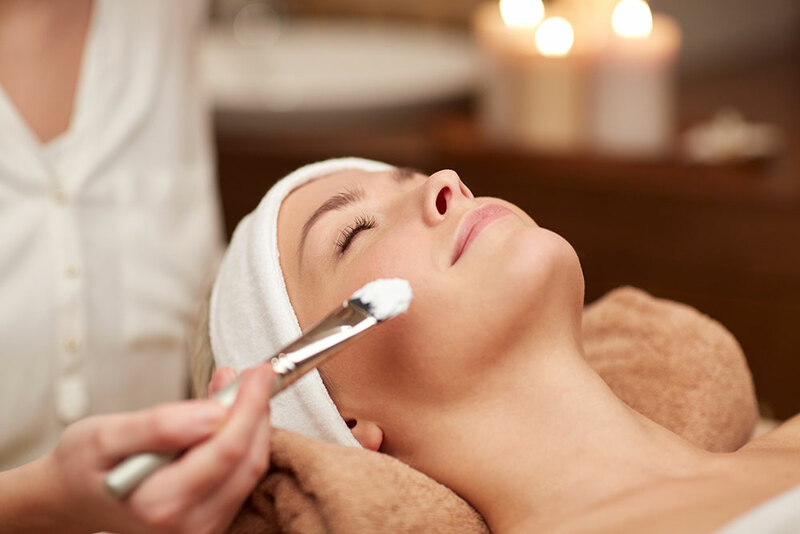 The industry’s most prominent international association for beauty therapy, CIDESCO is active establishing educational standards for beauty professionals. The organization recognizes schools and training centers that meet its criteria for accreditation, ensuring CIDESCO-endorsed institutions convey the best possible training. In order to earn the distinction, the finest vocational schools and colleges must follow a strict program, offering at least 1200 hours of training for each student. Practical and written exams reinforce coursework, graduating competent cosmetology professionals. Missouri’s Independence College of Cosmetology employs the CIDESCO curriculum for some of its training programs and relies on Pivot Point International training as the basis for others. Educating since 1960, the school has relied on the Pivot Point system since 1969. Although its educational methods are scientific, an essential feature of the PP philosophy is the belief hair stylists are artists. As a result, Independence College’s interactive instruction emphasizes art and design theory, backed by practical exercises that drive skills home. Beauty and wellness never go out of style, so skilled professional cosmetologists are in-demand. In fact, the Bureau of Labor Statistics projects the job market for barbers, hairdressers and cosmetologists will grow by ten-percent between 2014 and 2024, surpassing the average growth rate for other professions. Rising population numbers and professional attrition are thought to account for projected job growth, but BLS also notes the competitive nature of the cosmetology industry. Newly certified practitioners first entering the job market are in direct competition with experienced staff, making it harder for them to secure roles with top salons and clients. Still, the upper ten-percent of earners in the field averaged more than $22/hr. in 2015. The median wage for all barbers, hairstylists and cosmetologists, was closer to $12/hr. during the same period. Pay and job prospects for manicurists are similar to those experienced by hair specialists, though skin care experts bring home median earnings approaching $15/hr. On the job, most stylists work in salons and full-service spas, where other cosmetology professionals are also employed. A highly autonomous profession, when compared to some other vocations; almost half of all barbers, hairdressers and cosmetologists are self-employed. An individual membership in the inclusive organization is reserved for persons working in the field, such as licensed cosmetologists, owners of establishments where services are provided, and non-licensed personnel employed in related occupations (production and distribution of beauty products, etc.) Business memberships are also available, enabling employers to extend benefits to staff members. And an affordable student membership is also extended to those enrolled in cosmetology training programs – offering many of the same benefits enjoyed by professional members. Once independent, the National Cosmetology Association (NCA) merged with the PBA less than a decade ago, strengthening the ranks of the modern Professional Beauty Association. Board Certification is recognized by the cosmetology industry and by clients. There is no better way to illustrate expert-level coloring competency than adding the credential to your existing training. Certification as a haircolorist requires a satisfactory score on an examination demonstrating both theoretical understanding and practical abilities applying color techniques. The exam is held periodically at various test sites across the country. Preparatory materials are available through ABCH. The Summit, ABCH’s premiere annual event, brings together professionals for education and networking. At the immersive affair, guest educators teach new skills and help colorists make the most of the knowledge they already possess. In addition to continuing education, The Summit puts-forth classes aimed at colorists working toward exam certification. AACS membership is open to all privately owned schools maintaining instruction in skin care, cosmetology, nails, massage, and barbering. The group helps keep educational standards high at member schools, stressing the importance of consistency in education. Providing networking opportunities for educators to share best-practices is a primary function of the Association, accomplished through a series of seminars, conferences, and conventions held by the AACS every year. Through partnerships with several highly visible industry organizations, AACS puts-forth a print magazine called Choose Beauty. The publication targets would-be beauty school students and educators, promoting various aspects of cosmetology education and employment. Another membership organization maintained for the benefit of those working in related fields, the Association of Cosmetology Salon Professionals (ACSP) promotes the cosmetology, esthetics, and nail industries. Like other associations aimed at professional cosmetologists, the group is active on a number of fronts. Not only does ACSP make a difference in the professional lives of its members, but the Association also promotes high standards industrywide, advancing legislation, continuing education, and community outreach efforts. In addition to its paid primary membership, students are also invited to participate in the organization, staying abreast of industry news. For informative purposes, the group extends a no-cost associate’s membership, which doesn’t carry member benefits, but does keep associates informed about legislative action related to the field of cosmetology. The Professional Beauty Federation is a non-profit effort bringing together businesses and associations committed to advancing beauty professions. The unique initiative brings important industry messages directly to legislators. To secure this unusual access to decision-makers, the group sponsors and staffs free haircutting events on Capitol Hill. As industry volunteers share services, they also bring important concerns to the attention of lawmakers. Partnerships with corporate backers help make the Welcome to Our World direct lobbying events successful. Cosmetologists are in-demand professionals trained to cut hair, apply makeup, and provide skin and nail care services. The profession is regulated by state agencies, calling-for comprehensive training and satisfactory performance on state board exams. If you are ready to launch a rewarding career in this growing industry, completing a recognized cosmetology program is your first step toward career success.